As with many things in finance, past experiences help us establish rules, procedures and best practices. This especially holds true for M&A activity, where the largest, most acquisitive companies will typically have a standardized process (and potentially a dedicated M&A team) in place. But what about companies who are not frequent acquirers? Often times, less-acquisitive companies will face various complications during an acquisition that can result in delays, indecision, and lost deals. In this blog, we’ll take a look at some common reasons for breakdowns on the buy side — then explore some key strategies that can safeguard you against them. 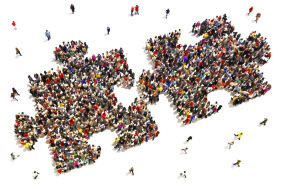 For many organizations that are new to the acquisition process, managing all aspects of the M&A process proves too big, too specialized and too complex to handle internally. Without dedicated and experienced personnel, the acquisition process can be problematic from beginning to end, starting with the evaluation and lingering long after the deal is done. Let’s take a common instance of a company using internal resources to evaluate a target. The responsibilities will likely fall to a few key players including the CFO, VP of Finance, and a handful of other finance and operational leaders. Expectations that individuals handle the increased workload in their “spare time” often means the deal doesn’t get the attention it warrants, leading to a poorer-quality evaluation of the target. Plus, by adding the intensity of a M&A process to already-busy employees, it puts an enormous personal strain on those individuals and can cause extreme frustration. Not to mention that, when internal resources are responsible for seeing through an acquisition, the organization suffers a huge opportunity cost: employees are potentially neglecting their “day jobs”. Even when all parties are initially satisfied with the deal, the cost, over time, of work neglected in the wake of an acquisition can be nearly as harmful to an organization as an unsatisfactory deal upfront. Additionally, executives and other employees not familiar with acquisition processes are likely to encounter unfamiliar deal issues that can lead to significant delays. And generally speaking, the longer a deal is open, the greater the chance any variety of internal or external factors — from downturns in the economy, to shifts in attitude from the target company — can come along and derail it. Speed typically wins, especially for an acquiring company who may be up against several competitors in the process. If the buyer moves too slowly in its evaluation and acquisition process, it can become less appealing to the target company ownership. Given the importance of moving quickly and the inherent complexities of M&A transactions, it is important to think comprehensively about several key aspects before jumping in. Here’s a look at some strategies that can potentially make it a smoother and more successful process. 1. Establish the right evaluation model upfront. From the start, it’s critical to have an evaluation (“deal”) model that incorporates all of the essential drivers and KPIs that will impact your valuation and evaluation of the acquisition target. Your model must be dynamic and fluid, and should be developed by someone, potentially an outside expert, with experience in constructing deal models and evaluating a target company’s historical data and projected financial statements. Additionally, when developing your evaluation criteria, be wary of getting bogged down with unnecessary data. Irrelevant data is not only extraneous and distracting, but frequently leads to companies having to rebuild their model a few weeks into the process, in turn causing delays. There’s also great long-term value in getting your model right from the beginning: once this happens, your organization will have an established system in place for subsequent deals. And furthermore, by properly documenting the M&A process (a third-party expert is a great way to do this), your organization will be well-equipped to reference and/or provide a documented rationale for any decisions made throughout the evaluation. This can be especially useful when, after several months (or quarters) post deal-closing, your company needs to revisit questions on initial expectations; for example, what your post-deal operational targets were in the first year. Supporting documentation is instrumental in understanding how you arrived at all key decisions along the way – as well as for setting standards for the future. 2. Use dedicated point people to actively manage critical processes. In a typical acquisition, multiple parties on the buy side will be given a list of tasks to complete, all with various deadlines and levels of importance. It takes someone actively managing these individuals and the various tasks to ensure things are progressing. Additionally, cross-functional interaction is critical to account for all the interrelated components of their tasks. For example, let’s say your organization is evaluating a target company’s sales. You’ll need more than just your sales group working on those forecasts and projections – you’ll need to talk to production as well, to understand the availability of products; while at the same time, talking to the decision-makers responsible for sourcing the materials. To productively move everything along, maintain required communication between groups, and ensure that all the various pieces “fit” together, an experienced point person is critical. Similarly, you’ll want to have a dedicated point of contact for external sources, such as bankers and target-company leaders. Ideally, this will be someone who specializes in this specific type of project management. In this case, a CFO and other executives would stay involved in the most pressing and important issues, while the point person would handle the numerous time-intensive daily requirements and involve the executives as necessary. This frees up an enormous amount of time for CFOs and financial leaders. 3. Offset the risks associated with drawn-out deals. As mentioned previously, slow-downs and delays are one of the most common deal-killers on the acquiring side. So it’s important to be aware of the risks associated with those delays, and do everything possible to safeguard against them. Consider some ways you can make yourself an attractive buyer. Remember, target companies are looking for acquirers who, simply put, have their acts together. But there’s more to it than just moving faster than your competitors, or speeding through the process to avoid unknown risks. Be prepared to come to the table with a comprehensive, well-informed view: ask questions around projections, provide detailed proposals around what the earn-out period will look like, and so on. From the beginning, you’ll want to give your target every reason to feel comfortable and secure with you as a partner. 4. Develop a sustainable earn-out structure. Similar to developing the right evaluation model, it’s essential for acquiring companies to invest the time and resources in developing the right earn-out structure. This critical task requires careful consideration upfront in order to avoid future headaches. Again, for this, a third-party expert can bring much-needed expertise to help you structure something that is realistic and achievable. That level of expertise is not likely an existing skill of an internal employee. Further, a third-party resource will have had numerous relevant examples of successful earn-out structures, along with best practices on how to develop an earn-out plan that works for both the buyer and the seller. 5. Consider the indirect components of the deal. Over the course of an M&A deal, it’s easy to have “tunnel vision” on metrics like revenue and earnings. And while a variety of logistical components may seem manageable on paper, in reality, they could have a substantial negative impact on your deal. For instance, consider a company that plans on consolidating two locations. Such a deal poses its own set of questions with significant financial implications. When will the space become available? How much will it cost? How does that compare to existing costs? Similarly, there are a variety of Human Resources issues that should be considered upfront as well, ranging in everything from the cost of employee benefits to paid time off policies. Even for highly acquisitive companies, the M&A process is complex and time-consuming. It places a significant burden on your organization’s employees – and without the right expertise throughout the process, your company’s overall financial health could be at risk. While the strategies here are important considerations, they are most effective when employed with the help of an outside consultant who is accustomed to managing the acquisition process. If you would like to discuss your M&A plans with an experienced consultant, call us anytime at (855) 367 8020. 8020 Consultant Mitch Browne has over 10 years of diverse finance experience, including positions in corporate strategy, corporate finance and investment banking. Prior to joining 8020 Consulting, he served as the acting Director of Finance at AECOM, where he led the annual operating planning process and long-range strategic plan and contributed to the firm’s $6 billion acquisition of URS Corporation. He has also held corporate finance positions at Yahoo and Hulu, and investment banking positions at Wells Fargo Securities and Hadley Partners. He holds a BA in Economics from Claremont McKenna College an MBA from Washington State University.